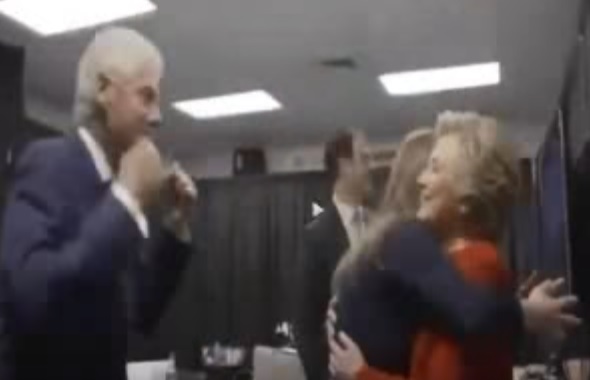 Now there’s video of Bill and Hillary Clinton jumping around like school girls on election day thinking she won. 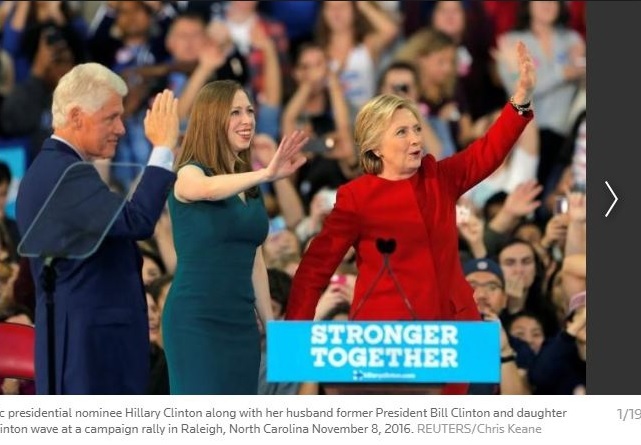 Here’s Bill, Hillary and Chunky Chelsea in a tight dress at a Raleigh rally on on Election day. Now there is leaked video of Bill and Hill jumping up and down like school girls thinking she won. This was before she got trashed and started unloading on her staff.